The ad was a gif showing a black woman taking off her brown shirt to reveal a white woman, who then took off her lighter-colored shirt, revealing a woman of color in a slightly darker shirt. While that post has been taken down, there are screenshots from the ad circulating broadly online. One is a group of four images from the ad that show only the black woman turning into the white woman. It’s not the first time Dove has been criticized for being racially insensitive in an ad. A 2011 ad that showed two women of color and a white woman standing in front of “before” and “after” signs was also criticized. Dove, which is owned by British-Dutch company Unilever, has long had an ad campaign that highlights women’s diversity. 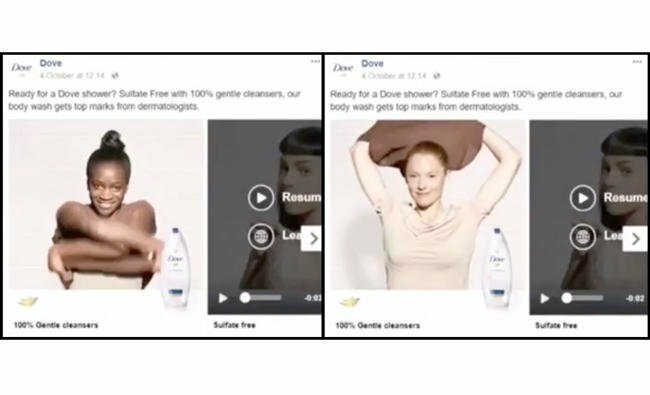 Be the first to comment on "Dove apologises for Facebook soap ad that many call racist"